Brexit is destined to be a “train wreck” and Tory MPs should get rid of Theresa May to have any hope of staying in power, Dominic Cummings has said. The former Vote Leave director said the civil service had made “no real preparations” for leaving the EU as most officials wanted the UK to remain. Unless MPs “changed the political landscape”, the Tories risked losing the next election to Labour, he said. Mrs May has indicated she wants to fight the next election as leader. 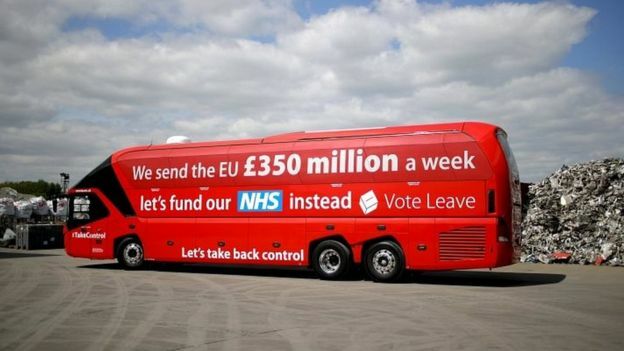 In an open letter to Tory MPs and donors on his blog, Mr Cummings, who is credited with creating Vote Leave’s “take back control” message and the controversial slogan about spending £350m-a-week extra on the NHS, said the government had “irretrievably botched” the Brexit process. Their first mistake, he claims, was to trigger Article 50, the formal mechanism taking Britain out of the EU, so quickly after the June 2016 referendum, without putting in place infrastructure around the world to manage trade. Then Theresa May promised to leave the single market and customs union, with “frictionless” trade and no change to the Irish border – things he claimed were “logically, legally and practically incompatible”. “The government effectively has no credible policy and the whole world knows it,” said Mr Cummings. He suggested government ministers who had sought to make practical preparations for Brexit were “blocked” by officials whose priority was the “maintenance of this broken system and keeping Britain as closely tied to the EU as possible”. “Whitehall’s real preparations are for the continuation of EU law and the jurisdiction of the European Court of Justice,” he wrote. “The expectation is that MPs will end up accepting the terrible agreement as voting it down would be to invite chaos.